I received my Associates degree in Civil Engineering in 1971 followed closley by my marriage to Rose Curtis from the MHS class of 1970. We have been married 41 years this summer. I began work with the department of transportation of Illinois. (six months). I then worked at Stanley Consultants as a design technician for 8 years. After that i worked in the engineering department at Grain Processing in Muscatine as the chief designer for 28 years before retiring in Feb of 2006. Along with 7 other investors we started a company called Heartland Renewable Energy and have been trying since 2006 to get an ethanol plant started that uses sugar based feed stock such as sugar beets instead of corn. We are presently working in North Dakota to make this happen. I am hoplessly hooked on Genealogy and have figured out family roots as far back as the 1500's in Scotland. I also have connections to the Hollidays who came to Muscatine in 1836, while the Indians were still here. Rick Whittaker posted a message. New comment added. We are getting a great turn out for the 50th reunion over 110 classmates plus their guest. Do you think you will make it back for it. Rick Whittaker posted a message. Rick Whittaker added a comment on Janice Hintermeister Hillman's Profile. Ed Berry posted a message on Rick Whittaker's Profile. Happy. Happy. Happy birthday Rick! Rick Whittaker has a birthday today. New comment added. 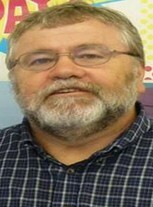 Rick Whittaker added a comment on Ed Berry's Profile. Rick Whittaker added a comment on Profile. New comment added. Rick Whittaker added a comment on Profile. Robert "Bob" Williamson posted a message on Rick Whittaker's Profile. New comment added. Rick Whittaker has a birthday today. Rick Whittaker added a comment on Steve Mitchell Mitchell's Profile. Daughter-in-law Sara with Son Erik at their wedding.